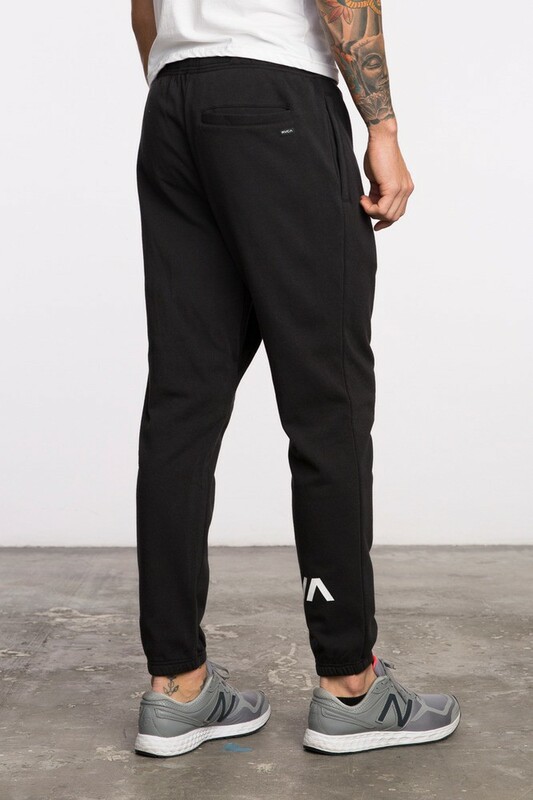 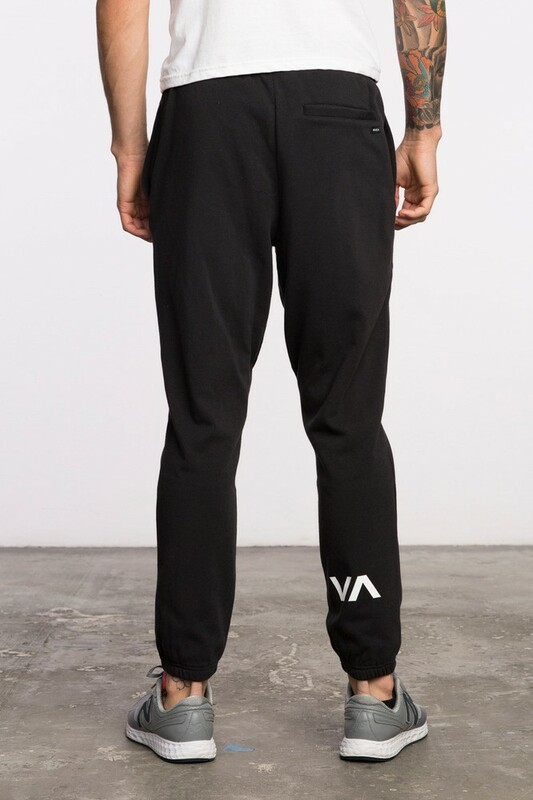 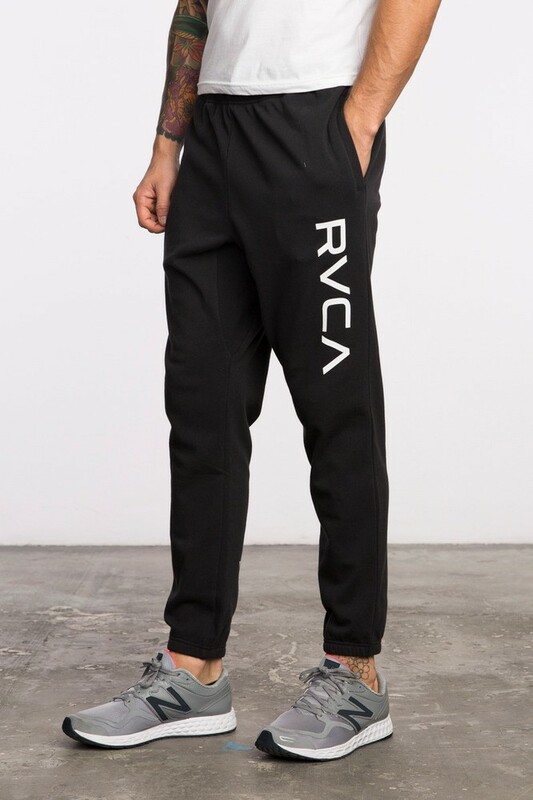 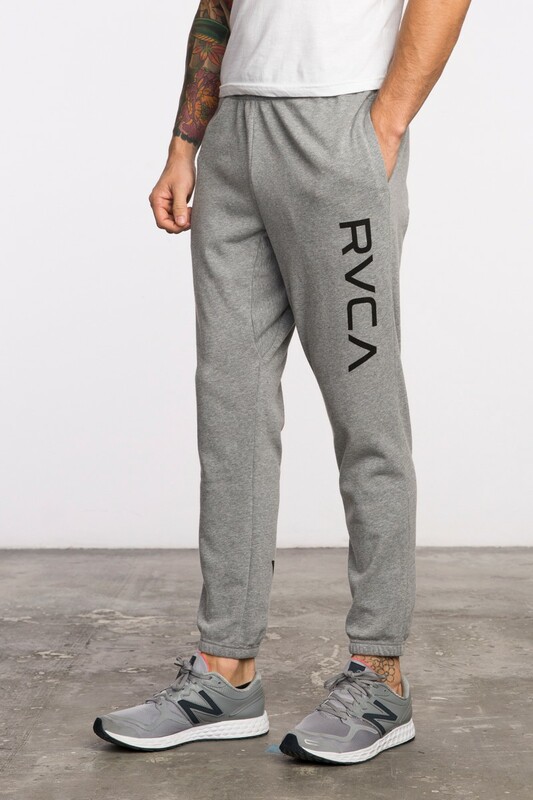 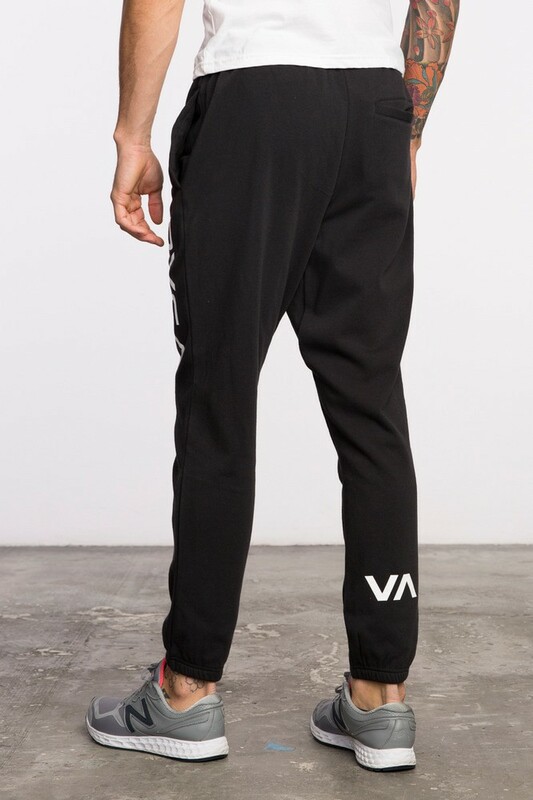 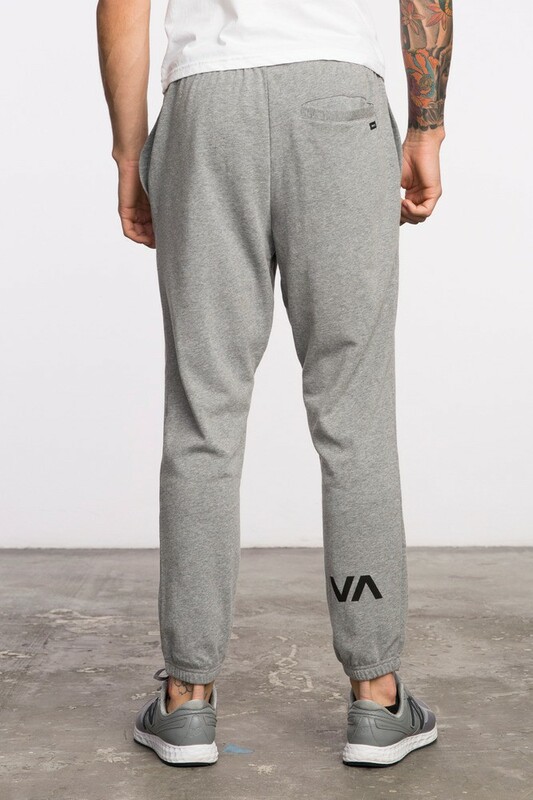 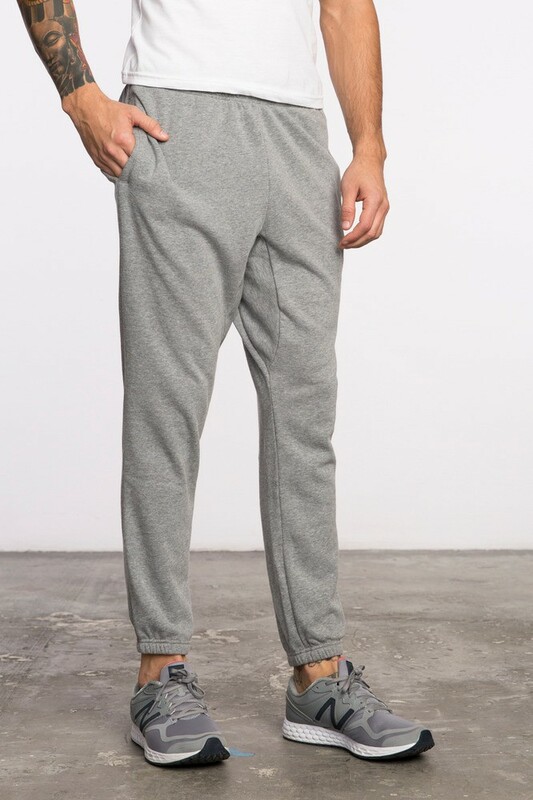 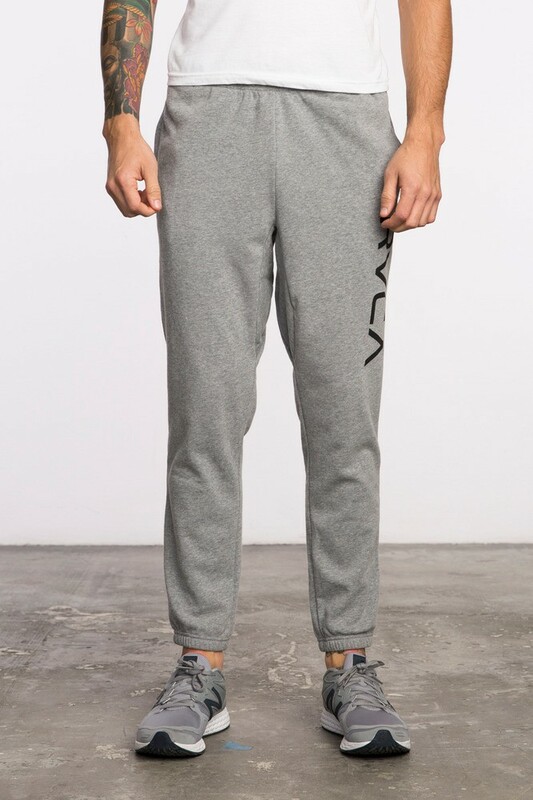 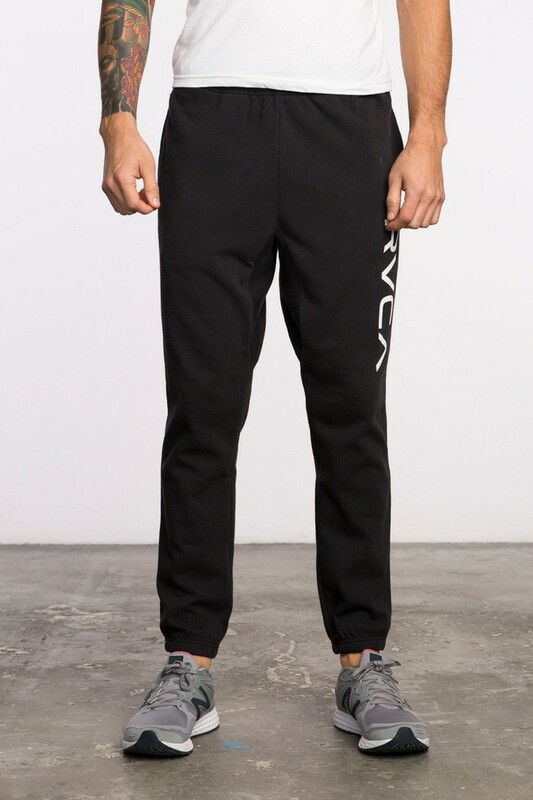 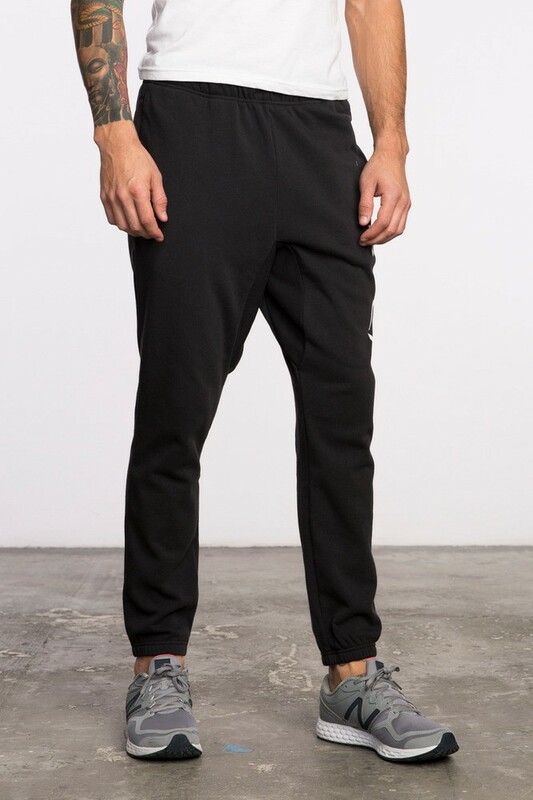 The RVCA Big RVCA Sweatpant is a soft, knit fleece sweatpant with an elastic waistband and a drawstring closure. 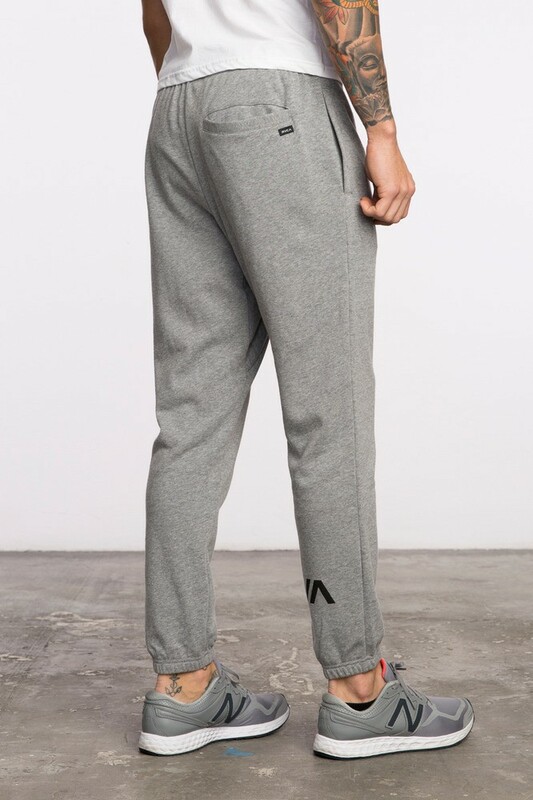 It has a straight fit with a tapered skinny legs and elastic hems for a comfortable fit. 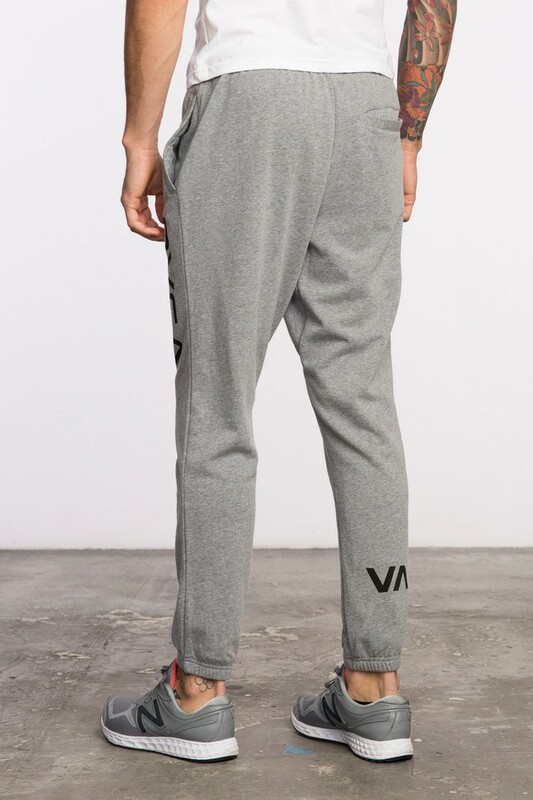 Finished with two front welt pockets, a single back welt pocket, a RVCA screenprint at the wearer's left leg and a VA screenprint at the wearer's bottom right leg.